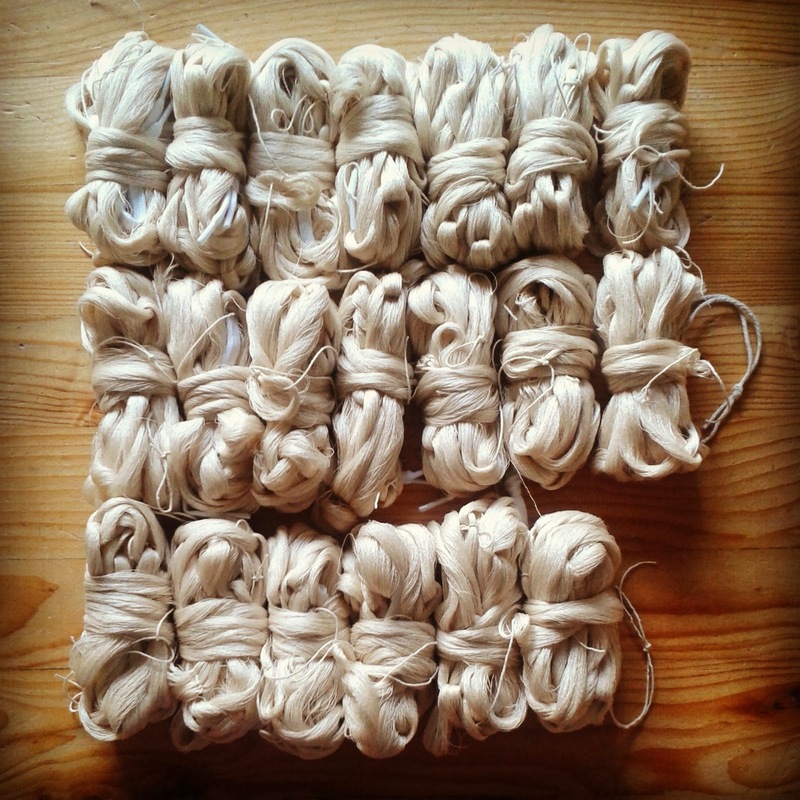 Commission weaving for Noemi Niederhauser . . .
My practice is concerned with transcribing and reassembling cultural artefacts using discourses of ethnography and practices of the archive, to make surprising and fascinating new objects. In doing so I try to challenges historical, ethnographic and scientific narratives and proposes new systems of exchange and modes of interpretation. For example, in my current project I am using an inherited early twentieth century catalogue of fabric samples and hand drawn patterns, originally the basis for the fabric design. I am using these as a basis for transcription, to make new, challenging sculptural objects in a variety of media- which themselves propose a micro order of relational objects. An attempt to rethink conventional approaches to assemble and recount history and to propose a historiographic/ethnographical model that acknowledge doubt, subjectivity and reduction as inevitable factors when making sense of elements. 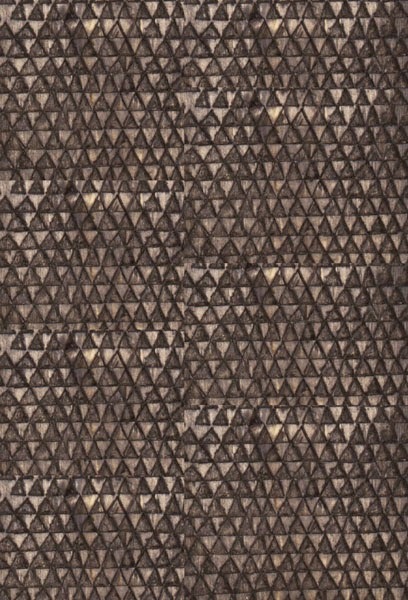 Original fabric in pattern book. The big challenge for me though was I'd have to do all the calculations for the warp without seeing the original piece of fabric. 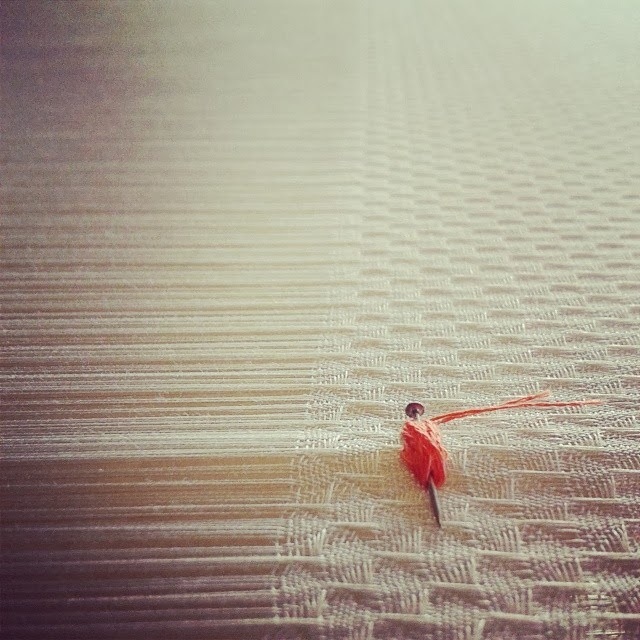 This super fine cloth became one of the greatest challenges I have ever undertaken, with 100 ends per inch and being 40 inches wide, it really was epic. Needless to say the process was extremely time consuming with 20 warp bundles to make and a total of 4000 ends to be threaded, reeded and tied on. Just setting up the warp took me the equivalent of a whole week. fabric being woven on the loom. 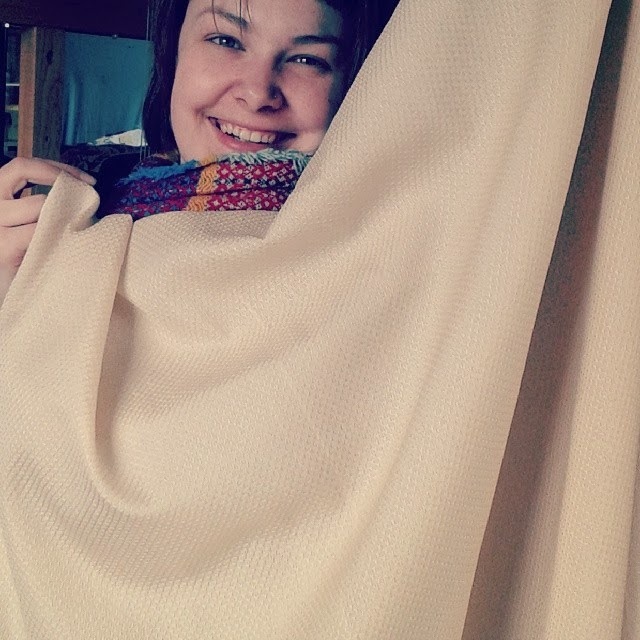 myself with the finished piece of fabric. Many hours of weaving later and the beautifully delicate fabric was done. You can see the full photographic journey of the piece from fibre to fabric on my facebook page. Now I look forward to seeing what Noemi will do with it. Her work will be on show at Central Saint Martins in May.